As Pac-Man's 30th birthday draws near, creator Toru Iwatani tells how the character was designed to appeal to women. If you think that getting more women interested in games is a modern problem, think again, as even the earliest developers puzzled over how to do it. 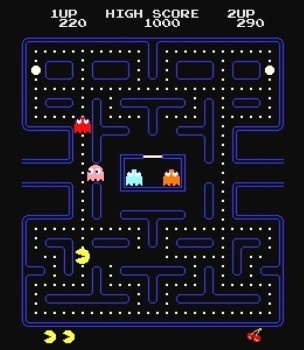 As the 30th anniversary of the release of Pac-Man draws near, its creator Toru Iwatani relates how making the game appeal to women was very important to him. "The hardware spec at the time, compared to the present time, was very limited, so we could only have artwork in a very simplistic style. It was very difficult to create a sense of empathy for the player in this limited way, but we wanted as many people as possible to enjoy the game. By creating a character saga and kawaii characters we thought we could appeal to women as well." "This was before the Famicom home consoles so the only place to play videogames was at arcades. Most arcade videogames of the time were violent and focused on the male player, so the game-centers became places frequented mainly by men. We decided to change that demographic by designing games that can appeal to women and thus to couples, therefore making game-centers desirable places to go on a date." Iwatani goes on to say that his love of old Disney movies also influenced his decision to make a non-violent videogames, saying that he "[couldn't] imagine thinking like that, to express anything in a violent manner."